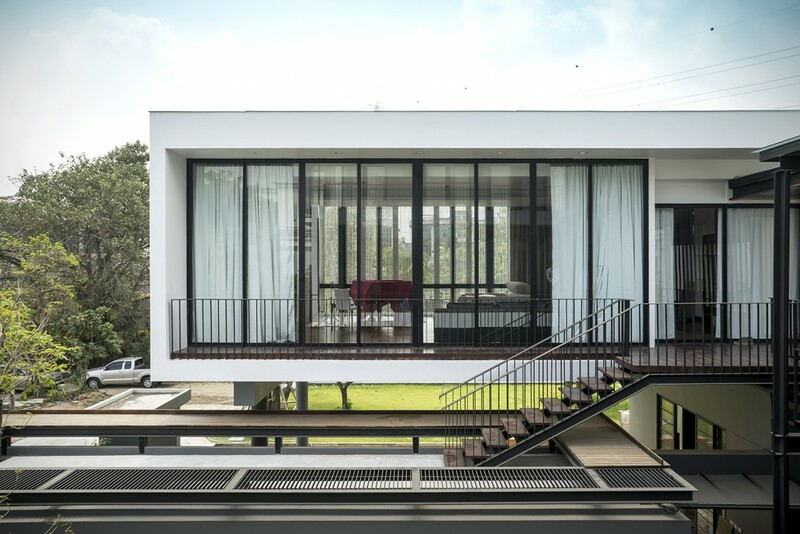 Functions of the house obviously separated into two parts, one is mainly used by the residents and another are public functions. 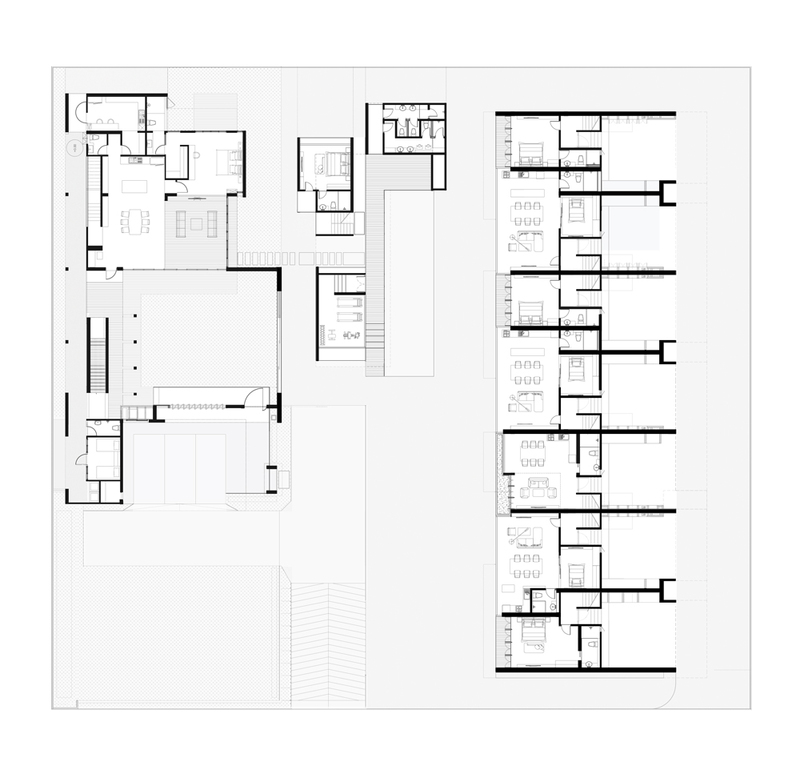 Therefore, this particular two building mass are also clearly set apart. 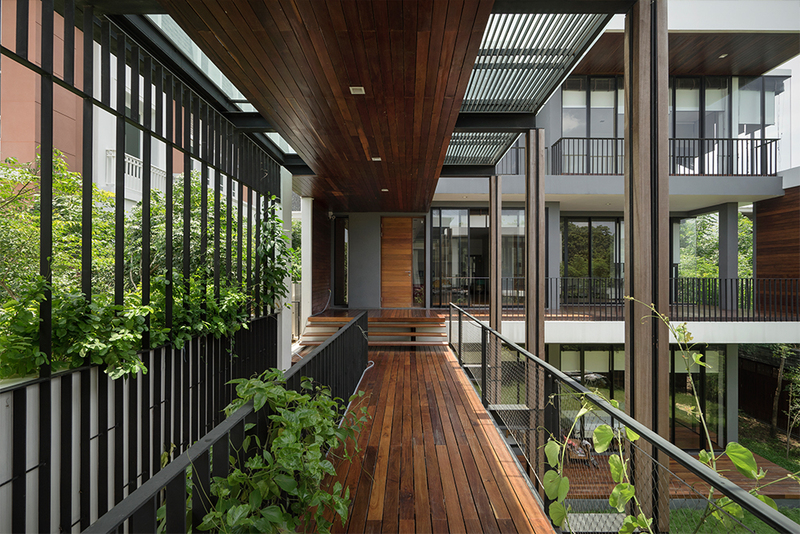 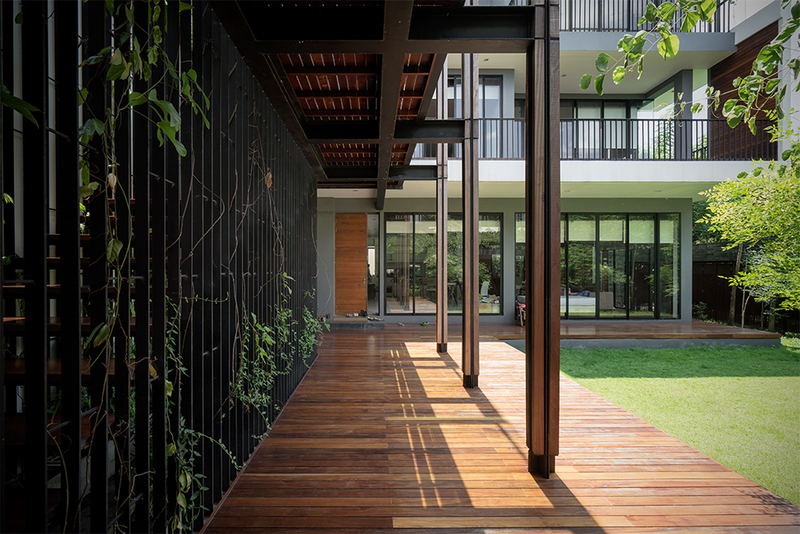 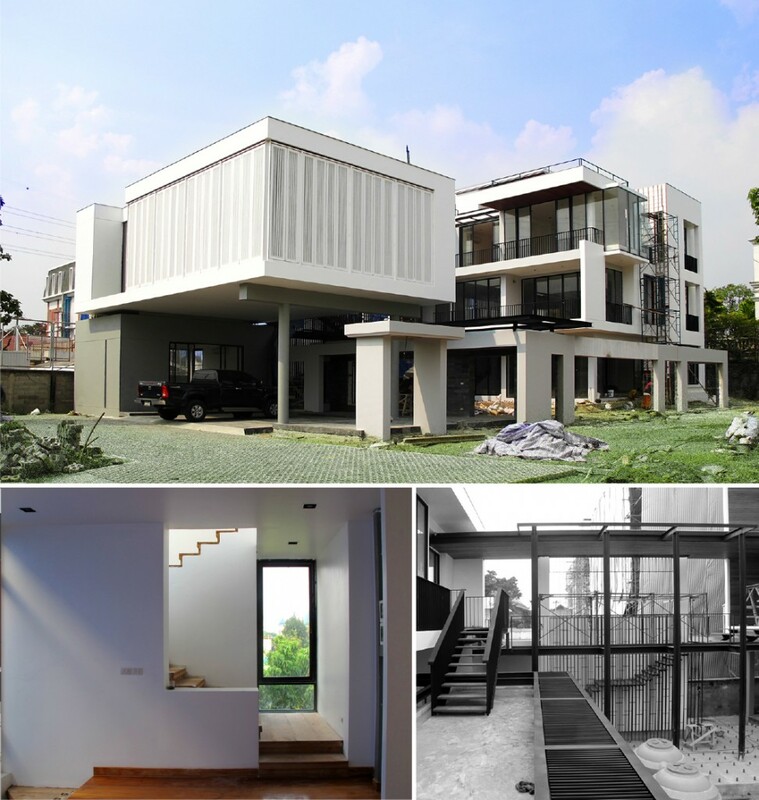 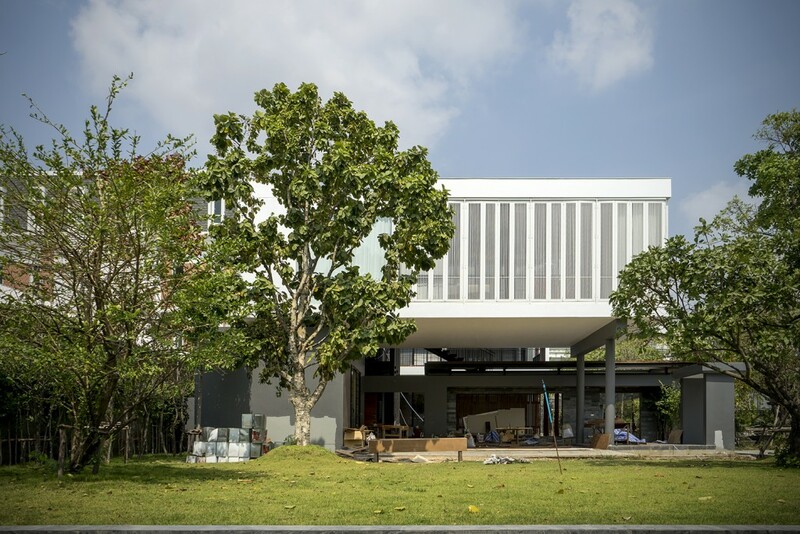 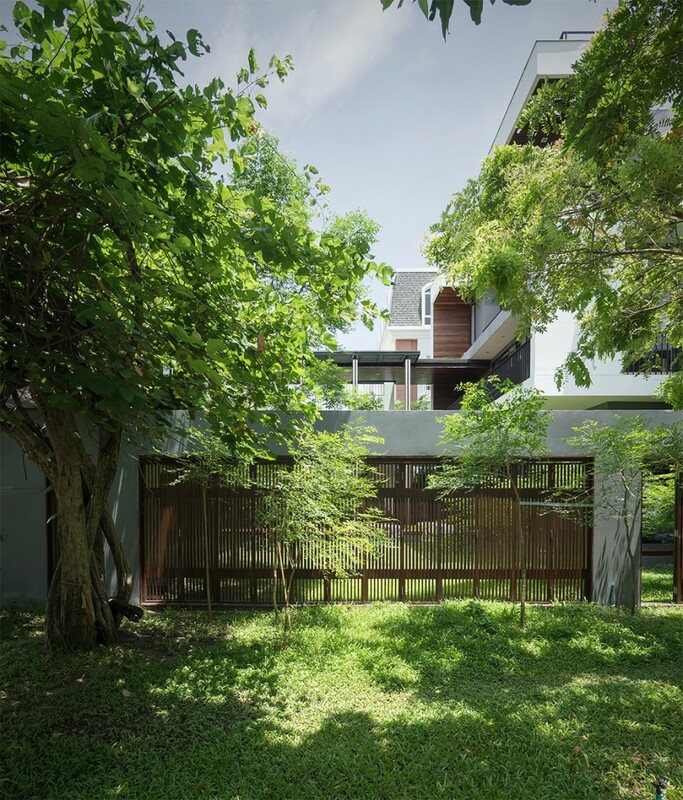 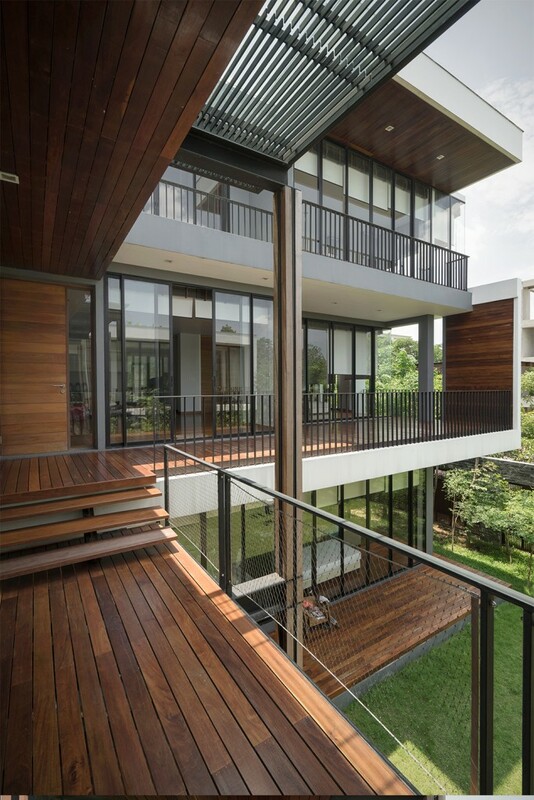 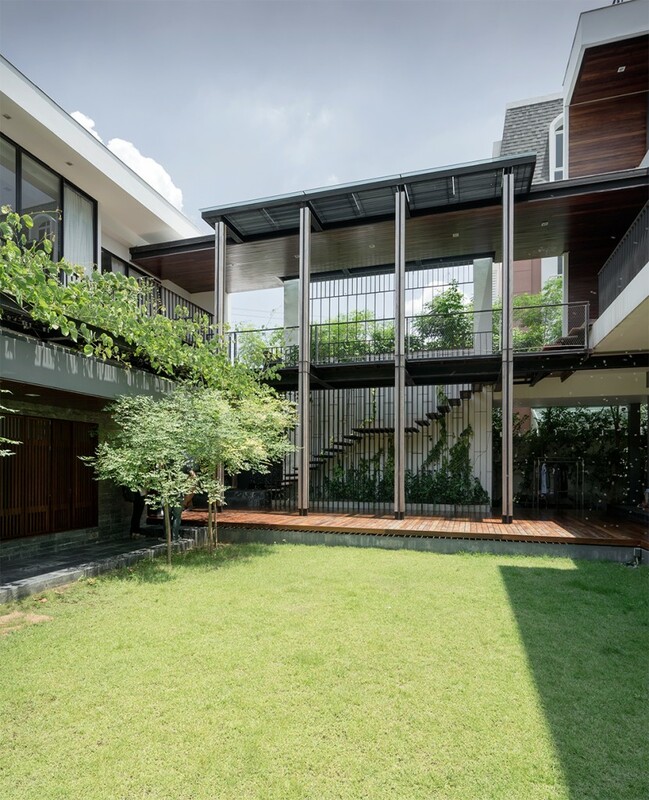 The owner of the house is Landscape Architect, that’s why spaces in this house are connected through landscape-wise manner. 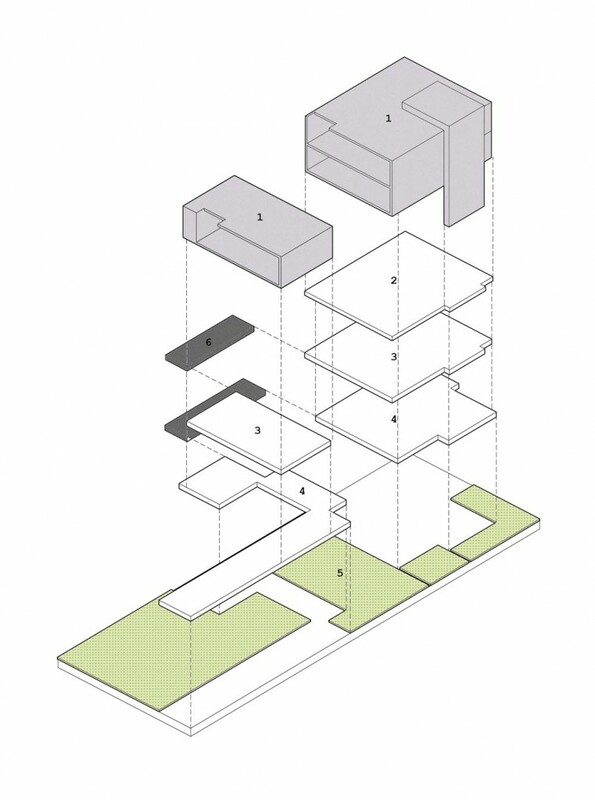 Approaching the main public mass, visitor should reach the spacious court first, then reach the public function such as party room. 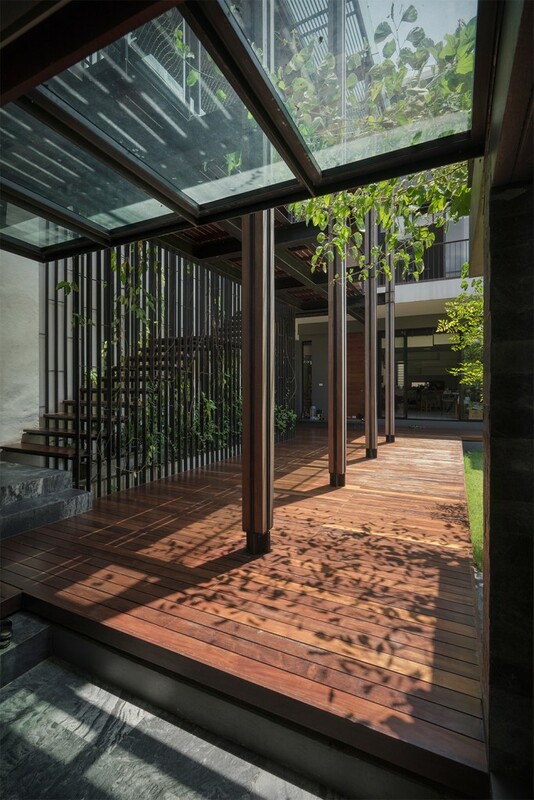 Before arriving at private section, the landscape with light structure, such as steel and wood, came in to play by separating those two part again.